Search engine optimization involves hundreds of different ranking factors which all contribute to how a site would appear in the the results page. Perhaps one of the crucial, but less talked about is domain authority. The higher a site’s domain authority is, the higher the chances that it will be in a good position in searches. Domain authority, a metric developed by Moz, refers to a score from 0 to 100 as an evaluation of a site’s quality. It more specifically measures a site’s SEO quality. With that, the higher the domain authority is, the more likely that a site will rank higher. Domain authority tries to simulate Google’s ranking algorithm which has as much as 200 criteria at play. But since this Google’s actual algorithm is not public information, Moz’ domain authority is just an estimate – but a lot of marketers find it as a reliable measure. These are some of the key factors that affect a site’s ranking, and performing well in these areas allow a website to have better chances of being the top result to relevant queries. Moz also has another metric similar to domain authority called page authority. The latter refers to an individual page’s likelihood to rank, as compared to domain authority which concerns a whole web domain. Both of them are excellent tools to use to help assess a site’s performance and then make relevant actions after. Off-page search engine optimization is a term that refers to the set of SEO activities that you conduct outside your site. Generally, this includes link building and social media marketing, both of which are crucial criteria for domain authority. You should also work on your site’s popularity in the social media. While Google has made it clear that social media plays no part in its ranking algorithm, studies have proven a direct relationship between a site’s social media popularity and its ranking in Google searches. It’s probably because a site that’s popular on social media is more likely to have been a great website in itself. It is therefore essential that you craft ways to improve your social media presence, and one of the best ways to do that is to improve your social shares. Another crucial criterion for domain authority that is relevant to a site’s total SEO performance is its content. A website should be home to a number of quality content. Aside from being an avenue for SEO in itself, the regular posting of great content helps you earn backlinks which can aid the previous criterion. When crafting content, you should always put in mind that it should be significant enough for readers to want to share them with others, and thus improving social sharing as well. With all these, make sure that you give content the necessary attention and effort for you to be able to boost your domain authority, and ultimately, your site’s actual ranking. Basically, you need to make sure that your site is pleasing to the eye, has substance, and very functional. By doing this, it would not be difficult for your site to rank high. But of course, it is easy to enumerate these, but it requires dedication and hard work to pull off. Aside from SEO efforts on the forefront, you should put technical search engine optimization at play. This involves complying with technical requirements set by search engines. Among the most significant SEO moves in 2018 is the focus on mobile. This will continue to be relevant moving forward as it is anticipated that mobile technology would continue to develop, and would be responsible for an even more significant share in searches. With that in mind, make sure that your site adheres to mobile compatibility standards. Perhaps the easiest way for you to achieve this is by adopting a responsive web design which allows your website to automatically adjust to the screen for which your site will be accessed from. Lastly, make sure that you put a lot of effort in improving your site’s speed. While this has already been mentioned as part of on-page optimization, it is worth to put a lot of emphasis on it because of its grave importance. Your site’s speed can affect your SEO in a lot of ways. For example, a slow-loading page will lead to substantial bounce rates, which will send a negative signal to search engines about your site. So make sure that you work on your site’s speed as to improve the total user experience that your site has to offer. 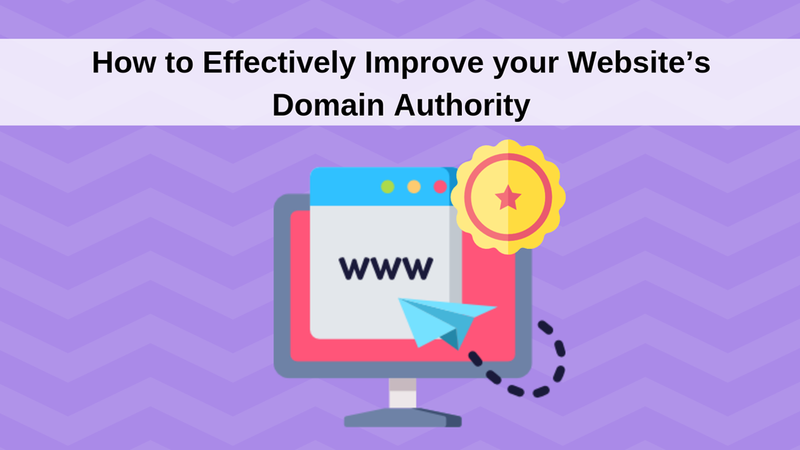 Boost your website’s domain authority today! Your site’s domain authority can tell a lot about how likely your site will make it in the real world. By adhering to its criteria, you will most likely be able to fare well on the search engines’ ranking algorithms. So take note of the above tips and do your best to practice them. John Vuong is the sole owner of Local SEO Search Inc., a Full Service SEO Agency. John’s mission is to help local business owners improve their online influence so they can dominate their industry. With his business acumen and innate understanding of the local business landscape, John writes blogs that delve on how to customize SEO campaigns based on client needs.